What is a BIO-EFFICIENT approach and why has EQUISTRO® adopted it? The time and money invested in the bloodlines selection that will make up the genes of the future winner is only the first step to success. Adapted training, healthcare and nutrition have an equally important role to play. The BIO-EFFICIENT approach adopted by the EQUISTRO® range when developing its nutritional supplements meets these challenges head on. 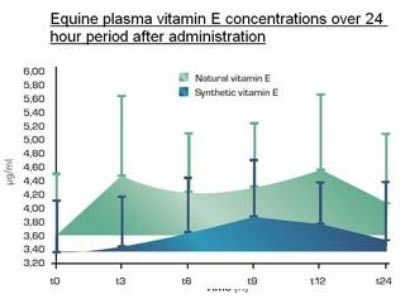 With more than 75 years of experience and expertise, no one understands better horses physiological and anatomical peculiarities than Vetoquinol, and how these can be influenced at a cellular level by a careful selection of ingredients which respect and exploit each horse's genetic potential. These organic nutrients with diverse biochemical functions are vital to the organism. Assimilation and biopotency can vary greatly according to the chemical structure involved. Key components for many biochemical reactions. 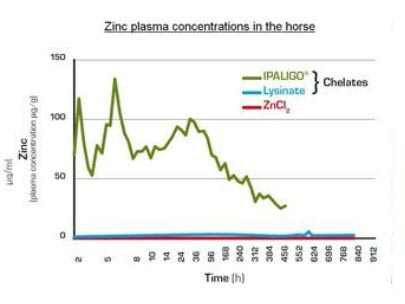 IPALIGO® trace elements are a unique amino acid associated formulation developed by Vetoquinol that privilege the passive and active intestinal transport mechanisms to result in a superior bioavailability when compared to the classically used inorganic forms. A recognised leader in veterinary phytonutrition, Vetoquinol’s savoir-faire of the nutritional potential contained in plants (e.g. bioflavonoids, volatile oils, saponins, vitamins and minerals) is unequalled when it comes to horses. Care is taken to source only the highest quality herbs that conform to recognised pharmacopoeia. Attention to palatability. Good acceptance by the horse is essential whether it be added to the feed, drinking water or administered directly into the mouth. Studies in horses have clearly identified certain preferences in terms of flavouring. For this reason All EQUISTRO® products under go palatability studies during development. Formulation adapted according to intended use and age. In accordance with latest recommendations, the ingredients and additives are formulated (powder, pellet or liquid) to ensure an optimal ease of administration with a minimal wastage. Strict handling procedures and state of the art manufacturing facilities ensures that the nutritional value is preserved in the finished product. Cold extrusion techniques are employed during pelleting of certain formulations for this very reason. Sound scientific support and clinical trials are performed to evaluate the health promoting value of the EQUISTRO® range. Meeting the clinical needs of the veterinary surgeon. EQUISTRO® recognises the need to supply clinical data to support the use of its premium-quality products. It is this recognition and delivery that enables the veterinary surgeon and horse owner alike to use and recommend in confidence the EQUISTRO® range.